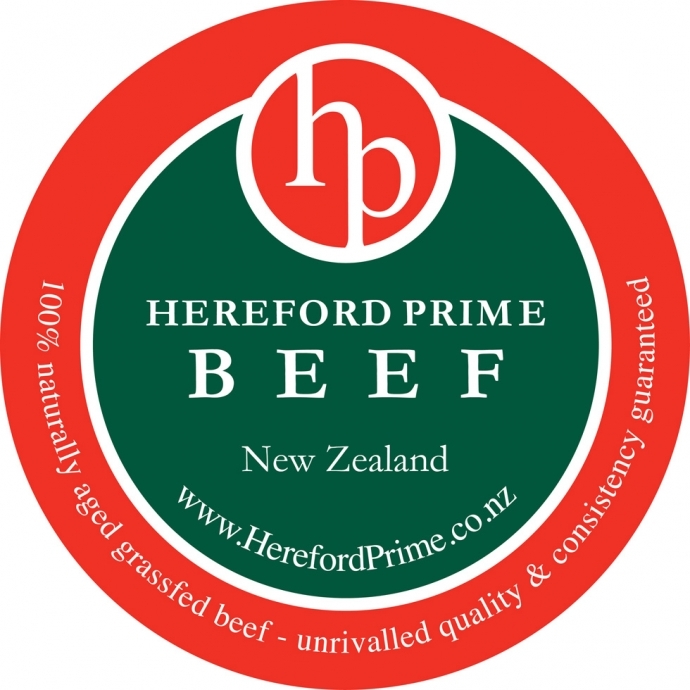 Hereford Prime was the first quality beef breed programme launched in New Zealand in 1992. It was borne out of frustrating dining experiences by beef enthusiasts who were searching for a consistent and quality eating experience every time. We pride ourselves on our relationships, communication, quality assurance and individual carcase assessment – all which we’ve been doing since we began. Hereford Prime beef is aged for a minimum of 21 days providing minimal shrinkage and moisture loss and maximum tenderness and flavour. Hereford Prime beef is recognised world-wide for its natural flavour, tenderness and succulence. Our cattle are reared outside year-round and grown on New Zealand’s pastures or forage crops which contributes to a lean yet flavoursome and healthy world-class beef product. They have easy access to shade, shelter and fresh water. Our beef is free from GE and hormones and our dedicated finishing farmers are passionate about and committed to animal welfare. This all adds up to provide consumers with a guilt free dining experience. Grazing on nothing other than grass and green feed crops also means our NZ Hereford Prime beef contains high levels of the essential fatty acid Omega 3. The natural diet of our cattle also means Hereford Prime exhibits just the right amount of marbling to allow for a palate-pleasing mouthful every time – yet is lean for the health conscious among us. The Hereford breed is recognised for its quality beef globally and is one of the oldest and most established beef breeds in the world (it’s also the most recognised and popular beef breed in Britain). Hereford cattle are also known for their unrivalled docility which is conducive to producing great beef and low pH readings – a quiet temperament also means quality beef production and our cattle are a pleasure for our finishing famers to work with and safe to handle. Each Hereford Prime carcase is hand graded and measured for quality, and must tick all the quality boxes to qualify to be sold as Hereford Prime. Our award winning grass fed beef programme, accepts a minimum of 50% Hereford genetics with another British beef breed (such as Shorthorn, South Devon, Speckle Park or Angus for example. In some places our processors also accept the Hereford Friesian cross). The brand is dedicated to excellence and believes in telling the story of the supply chain – from the paddock to the plate.